If you’ve been playing a lot of modern games, you’ll probably recognise the names of these two voice actors due to their heavy involvement with the Warcraft series. If you’re a Crackdown fan, then you should definitely know Michael McConnohie’s voice (he’s the Agency leader/narrator). 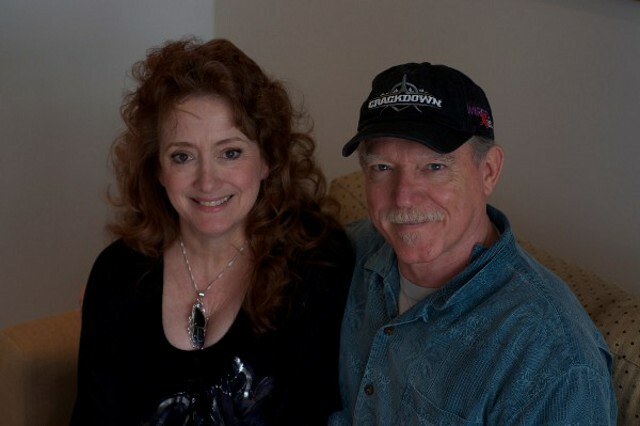 Michael and Melodee run a production company called Voxworks, and have provided voice work for a ridiculous number of video games and anime shows. Their history goes back a lot further than that, as my friend Matt Williams found out when he interviewed them recently. In fact, Michael McConnohie voiced the legendary Boogerman. You can read about their work on Boogerman and their part in the history of Interplay after the break. Matt Williams: You’ve got an extensive list of credits (see link), are there any that you consider embarrassing – that you look back on now and kind of shudder if someone brings them up? MM: I love it all! MS: It’s a little embarrassing. MM: It’s not embarrassing at all. MS: You like doing it? MM: I like doing it. MS: Okay, should we say it in tandem? MM: [in Boogerman’s voice] Yes, I was Boogerman! MS: And when you’ve done Boogerman, where can you go from there? It’s just the pinnacle of your career, isn’t it? MM: Listen, you really want to know what my ultimate weapon was as Boogerman? [In Boogerman’s voice] It was my power fart! MS: What was even more frightening was at the time Boogerman came out, a character I was – I wasn’t in that but it was equally revolting. They were actually thinking of doing a live-action on-stage tour – national tour – of the Boogerman cast and I wanted to see if you could do the power fart on stage (laughs). I’d love to see the special effects people working on that one (laughs). MM: on eBay I think it was. MS: Yes! Yes! He actually had a Boogerman costume. This is like a museum piece. MM: Some roles never die. MS: Although you can certainly wish it for them. MM: A great aid for any actor is no sense of shame. I have none (laughs). Boogerman lives. MS: Huge sense of humour, no sense of shame. 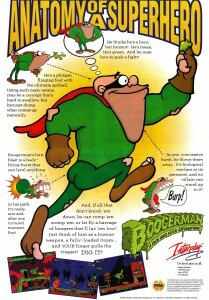 MW: I like Boogerman. I personally own it – it’s in my collection. MS: Oh! Good for you! Have you heard of Bobobo? MM: Yeah, I think you’re right. 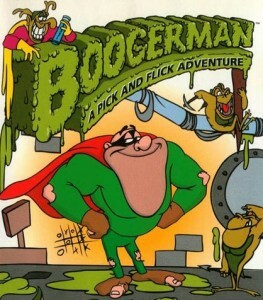 MM: Boogerman was ahead of its time. MS: Yeah, the groundbreaking Boogerman. The reason I brought up Bobobo is that the character’s great weapon was “Fist of the Nose Hair” so when you’ve been through projects like this…believe me, it’s just downhill from there. These are brilliant – they’re art (laughs). 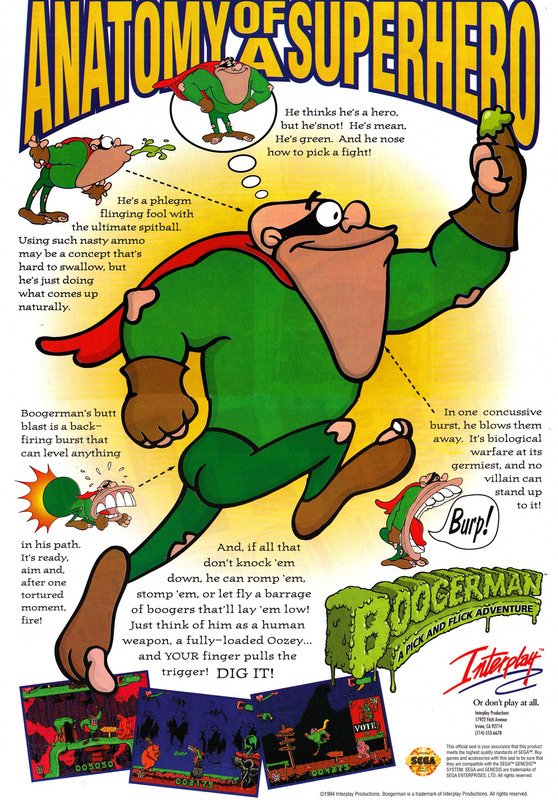 MW: Yeah, I definitely think Boogerman was art. It’s really not that embarrassing, Boogerman. MW: I’ll make it big. MS: We should get you a vanity license plate “PWRFRT” and see if anyone notices. MW: Now you did Boogerman – he starred in another game, Clay Fighter I think it was. MS: Oh yeah, we did do Clay Fighter. MS: I’m trying to remember what we were in Clay Fighter. Clay Fighters 1 and 2. MW: Now I’m geeking out. MM: Yeah, this was during the early days of Interplay. They were really starting to build the ability to build better games, and they sort of reached their ability when the economy went away. MS: But they were doing a lot of good work. MM: Yeah Blood & Magick. And then the one I think hurt them the worst was Stonekeep. MS: Oh the delay on Stonekeep was just brutal. We actually cast and directed the voices for that as well and by the time we got to it, the technology had leapfrogged over it. Unfortunately if it had been released when it was scheduled to be released it would have been cutting edge. MS: Descent to Undermountain, god that was fun! MM: …which was a combination of the 3D engine from Descent and placing that in the Dungeons & Dragons realm. And I was working with a programmer – I was sort of heading up the project on that – who was inventing physics – inventing gravity and transparency for windows. None of this stuff existed in games. So Descent to Undermountain was an incredible step forward and it was a launching step for a whole lot of other companies but a bit late for Interplay. MS: It also had a lot of interesting spin-offs. We did a live action promotional show based on that and had a wonderful actress friend of mine who is about 450ft tall, most of it legs and wonderful cafe ole skin which is dark for the character but we gave her brass armor and gave her the red eyes and the white hair of an elf and boy, we took that to conventions and people were following her around leaving trails of drool behind and she really enjoyed doing that. That was all to promote Undermountain which was terrific. The period of time we’re talking about was very prolific. We also directed a game called Normality with Corey Feldman and Normality was a very strange piece of work. Are you familiar with that one? MM: I believe it was a British game that was being done again with an American bent. MS: American bent but still British characters so we had Americans doing cockney type accents and what not coming in. It was a blend, if you will, of American and British supports. Also, it was very American. MM: A really immersive game, very very interesting. MS: It was strange, it had a Twilight Zone atmosphere to it. So the Interplay product at that time was very interesting. It went all the way from Descent to Undermountain straight sword & sorcery to the dark realms of Normality into the broad franchise that is Star Trek and all over the place. It was a wonderful time to be part of gaming. 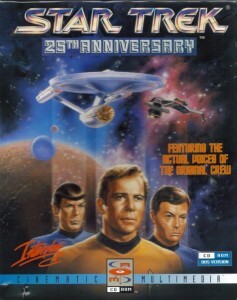 It was very exciting, very different, people were inventing technological and storyline realms out of nothing – it was an amazing time to be part of games. MS: In outer space (laughs). MM: Sorry we jumped off the rails a bit. MS: But it was an interesting derail. It was a derail into a period of time that was free play in the gaming world – everybody was inventing wildly and fast. 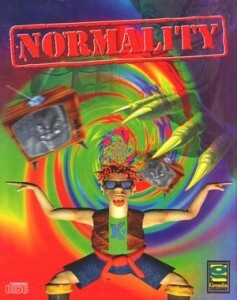 MM: For a company that does not exist and basically put itself out of business, Interplay had a huge impact on gaming. MW: So from your perspective the industry has become more restricted? MM: No, it’s different. The foundation was laid pretty much during that time. There was Interplay, there was a company called 7th Level which had a lot of very good titles and at that point Activision…it was like Pong. MS: True, and I think that one of the changes we’ve seen is that large companies have realised how much money there is to be made in games to the point where large companies back in Los Angeles that are doing films are financing the less successful, interesting arty films with their gaming income. So what’s happened is that some of those start up companies, some of those Wild West, “hey boys and girls let’s put on a game type company” that you’re free to change, free to innovate have largely been bought by larger companies who are run a little less by the gaming community and a little bit more by the MBAs. It’s more restricted from that point of view. They’re more directed towards “we’ve gotta make the money, we’ve gotta make the money” as opposed to “hey, let’s try this”. It’s not totally like that, but we’re moving more in that direction. MW: I definitely see that. MM: The one big exception of course is Blizzard, which is containedly owned by Activision. Like Blizzard is the Earth circling the Moon. MS: Blizzard is retaining autonomy because Blizzard is what we’d call a 300lbs gorilla, it’s a big, strong, powerful, money-making machine. MM: They are on course to take over the world. MS: It’s consolidating, as what happened to the movie industry. MM: The larger they get, the safer projects they look to do. MS: There’s a little less edginess. Little less willing to take a risk. 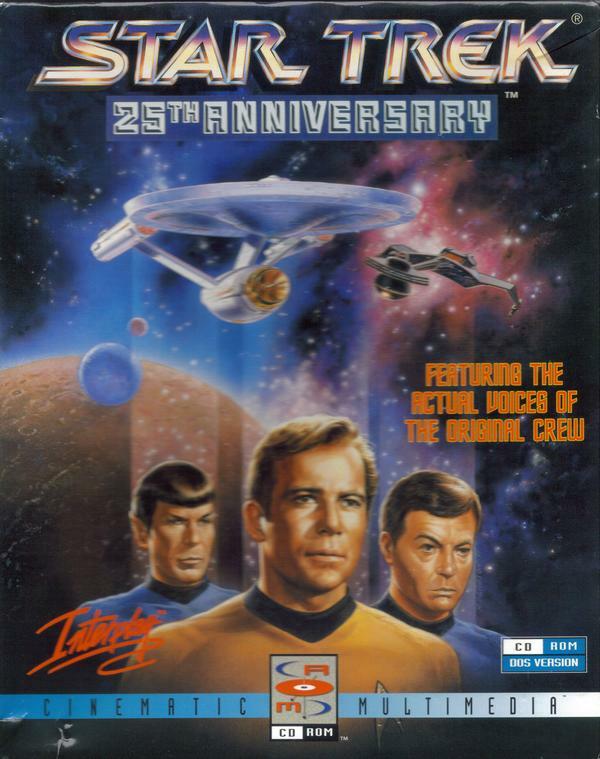 MS: In gaming we go back, all the way back to the old Star Trek games where we directed the classic cast in two Star Trek games. This is older history but it’s all part of the history of games. MM: I got to ask Shatner to do it again. Yes! 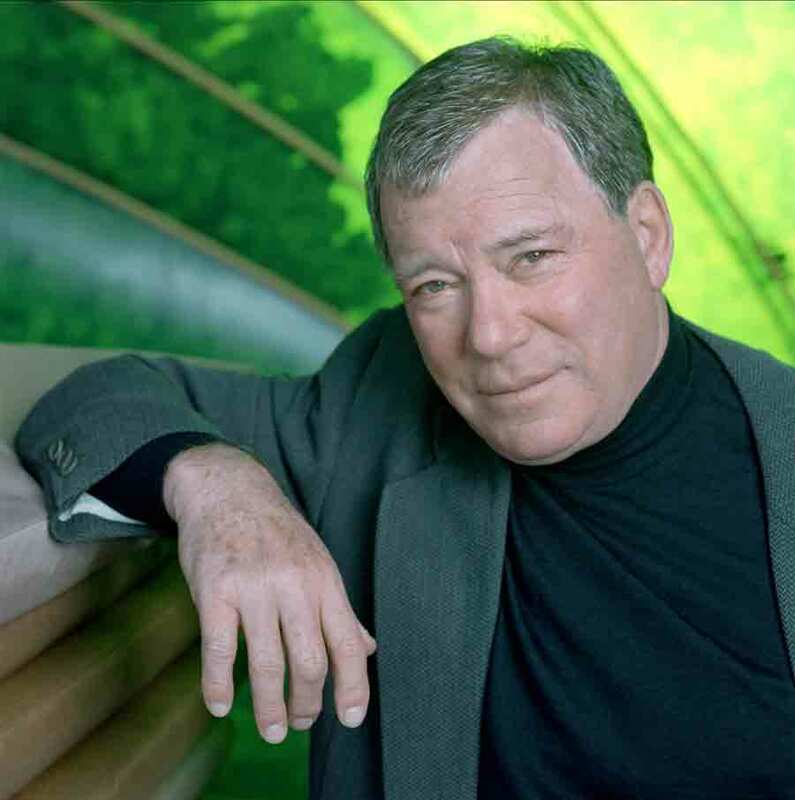 MS: Nobody was in any hurry to direct Shatner. 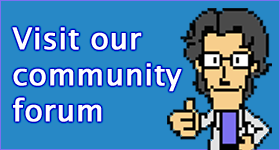 So we have a lot of good gaming stories from the beginnings of gaming. MS: 25th Anniversary, when somebody tried to tell him how to say sabotage. MS: And that became a legend that spread all across the Internet and after that we were brought in to fix it. A special thanks goes out to Matt Williams for providing us with this interview.